Kim Hyun Joong's debut mini-album Break Down has been the best-selling solo K-pop artist album of the year thus far. 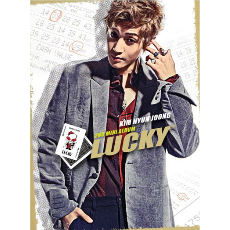 The SS501 leader now challenges his own record with his second mini-album Lucky. Produced by Steven Lee and Tae Wan, the mini-album comes with six tracks including the title song Lucky Guy.